After weeks of calmness, Cryptopia is the latest exchange to be ransacked by hackers. Unconfirmed reports indicate that $2.5 million of ETHs may have been lost. Meanwhile, Bitcoin is technically bullish in lower time frames. However, gains above $4,500 would officially usher in bulls. After five years of successfully protecting user funds, hackers got the best of Cryptopia. 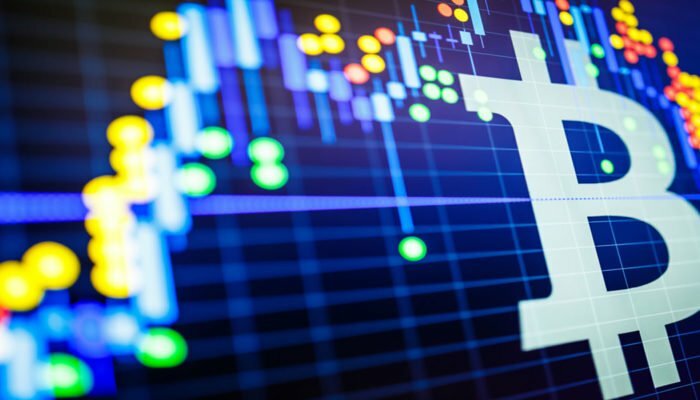 Although figures are yet to be confirmed, hackers were said to have moved $2.5 million worth of ETHs just hours before the exchange switched off, locking user funds. Even still, we cannot take anything from Cryptopia. As one of the many small crypto exchanges trying to make end meets, some are alleging that the “hack” may be an exit scam of some sorts. According to a Whale Panda, the exchange was famous at some point but had gradually degenerated, becoming irrelevant with fake trading volumes. They create a bunch of fake volume on their exchange so they're high up on coinmarketcap, then they dm everyone involved with a project that they want to add your project to their super successful exchange but of course there are "implementation fees". BTC performance is not as bad. In the last day, it is up in green, adding 2.6 percent and trading within a tight trade range. Still, we expect bulls to edge higher in coming days after Jan 14 mini-rally from the 61.8 percent Fibonacci retracement level off Dec 2018 high low. Although this is bullish and in line with our previous BTC price projections, we need to see strong gains above $3,700—a strong support level and base of the late Dec—early Jan 2019 bull flag. In the meantime, there is opportunity for aggressive traders who can initiate positions at spot prices with stops at Jan 14, 2019, lows at $3,500. 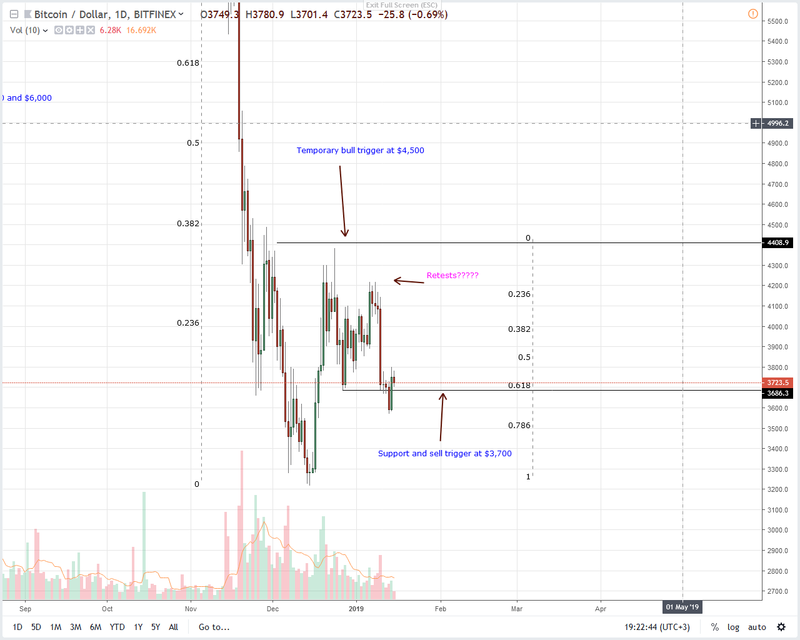 However, conservative traders can wait for better opportunities once prices break off the consolidation and print above the primary resistance and buy trigger line at $4,500. Despite yesterday’s “stellar” performance, volumes are low. Our reference bar will be Jan 10 bear bar—35k versus 18k. Average volumes stand at 16k, and for bulls to be in control, the first step is to reverse losses of Jan 10 at the back of above average volumes. By the close, the bull bar volume should exceed 16k and 35k.